Wave energy assessment at a regional scale is required for planning installation of wave energy converters. 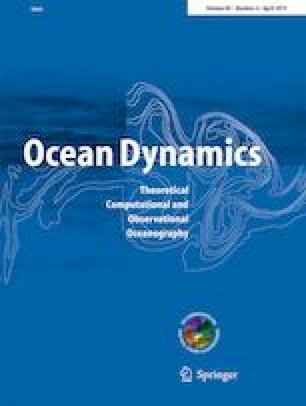 Based on continuously measured wave data at 14-m water depth in the central eastern Arabian Sea from January 2011 to December 2017, the temporal distribution of wave power potential is studied in detail along with statistical analysis of the wave power and wave parameters. Long-term variability in wave power is examined based on reanalysis data from 1979 to 2017. The study also evaluates the wave power technologies, such as Oyster, WaveDragon, and WaveStar for the study location. Significant inter-annual variations in the wave power are observed from June to September due to the fluctuations in the Indian summer monsoon. The annual mean wave power is 7.85 kW/m with year-to-year variability up to 13% from 2011 to 2017. During 24.7% of the time (~ 90 days) in a year, the wave power is more than 10 kW/m and is less than 5 kW/m during 68% of the time in a year. Most (90.4%) of the available wave power is from a narrow band between west and southwest. A spatial variability of ~ 12% in the annual mean wave power is observed along the central eastern Arabian Sea based on the measured wave data at three locations in 14–15-m water depth. The study shows that WaveDragon and WaveStar energy converter produces the electric power during 81 and 85% of the time in a year, whereas Oyster gives output during 59% of the time. The capacity factor of WaveStar is high (27–34%) for the study area compared with other technologies considered in the study. The Director of National Institute of Oceanography, India (CSIR-NIO) provided facilities to carry out the research. The measurements at Vengurla were supported by the Council of Scientific and Industrial Research, New Delhi (CSIR). Assistance during the data collection was provided by Shri Jai Singh and Shri Arun Nherakkol. We thank the reviewer and the Editor for the suggestions, which improved the scientific content of this paper. This work is done as part of the Doctoral thesis of the first author registered with Bharathidasan University, Tiruchirappalli and is CSIR-NIO Contribution 6378. Measured buoy data at Ratnagiri and Karwar used in the study are from the project funded by the Ministry of Earth Sciences, New Delhi through Indian National Centre for Ocean Information Services, Hyderabad. The first author wishes to acknowledge CSIR for the award of Senior Research Fellowship. IMD (1995) Report on cyclonic disturbances over North Indian Ocean during 1994, India Meteorological Department. http://www.rsmcnewdelhi.imd.gov.in/images/pdf/ archive/rsmc/1994.pdf. Accessed on 17 February 2019. IMD (2015) Tropical weather outlook—22/0600z. India Meteorological Department. Archived from the original on June 22, 2015 http://www.rsmcnewdelhi.imd.gov.in/ images/cyclone_pdfs/rsmc_1434975374.pdf.